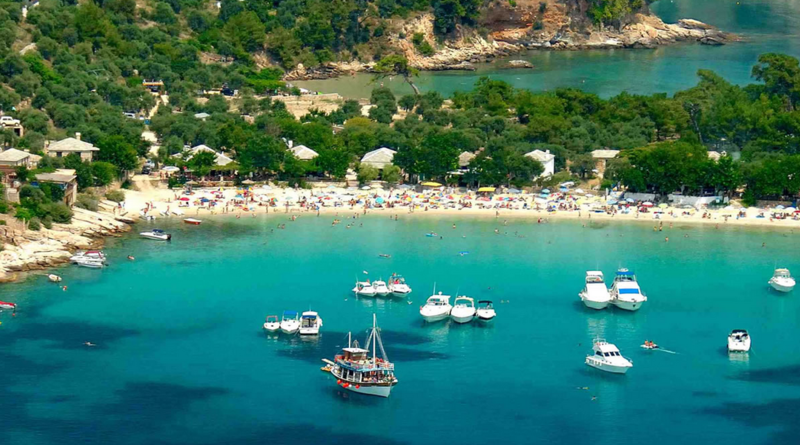 Here is a look at the top 10 most beautiful beaches on Thassos. 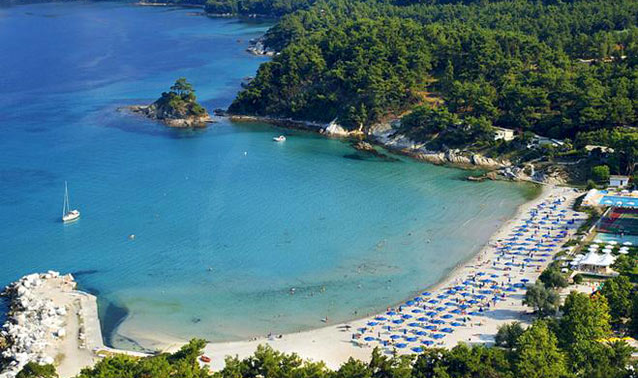 The natural beauty in Thassos Island makes it Greece’s gem and the top destination site for many tourists. Furthermore, the fair coast line that runs continuously all round it offers numerous and exceptional beaches. 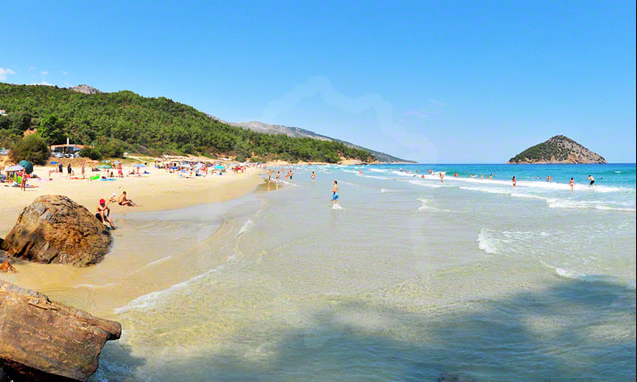 The beaches vary in nature and setting, making them ideal for different users’ preferences and tastes. Consequently, they also vary in beauty, quality and popularity with the people. 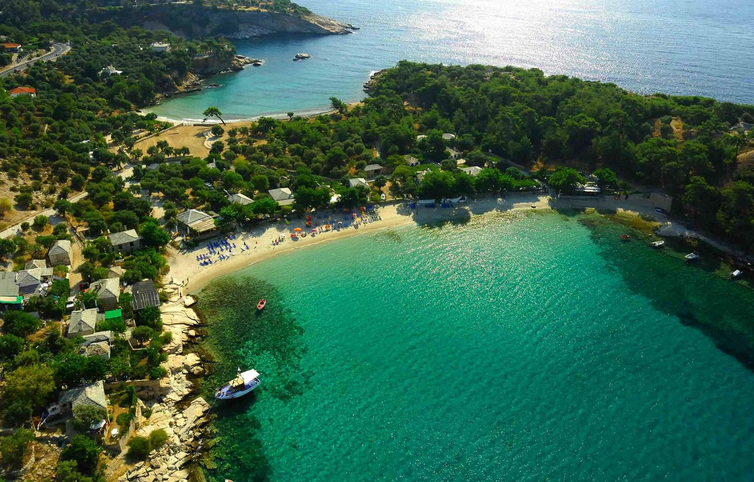 Located on the southwest part of the island, Astris beach offers a great and serene environment for water sporting. 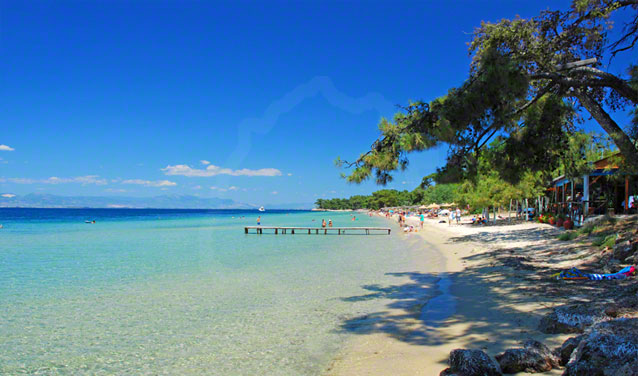 To facilitate this, it has fine and white sand which is not only enjoyable to bask in but also fun and safe to play in. The sea bed is also quite steep and deepens abruptly as you go further into the sea. This abrupt change in depth attracts huge waves which also offer quite a platform for extreme wave sporting and surfing. 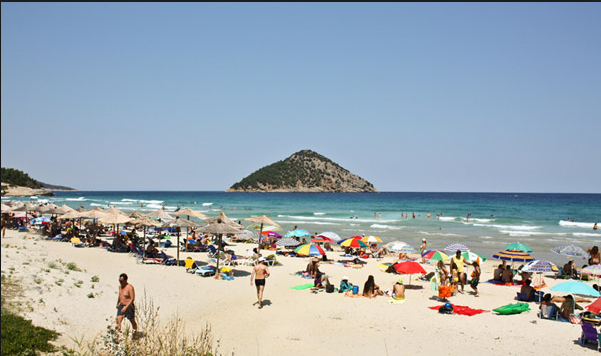 The beach is also free of harmful elements like concealed stones and dangerous sea creatures, making it safe. However, the huge waves and extreme sporting sometimes carried on the beach makes it unsuitable for families with young kids. This beach has a really nice setting and great features like fine and white sand and clear sea water for surfing and swimming. It is an ideal place to just bask in the sun, swim gently in the shallow end of the sea or ride the waves that tend to form when the tide is high. However, the popularity in the beach among visitors and residents alike sees it get quite crowded and especially during the weekends. The beauty in Tripiti beach comes not only from the beach itself but also from the surrounding features and vegetation. 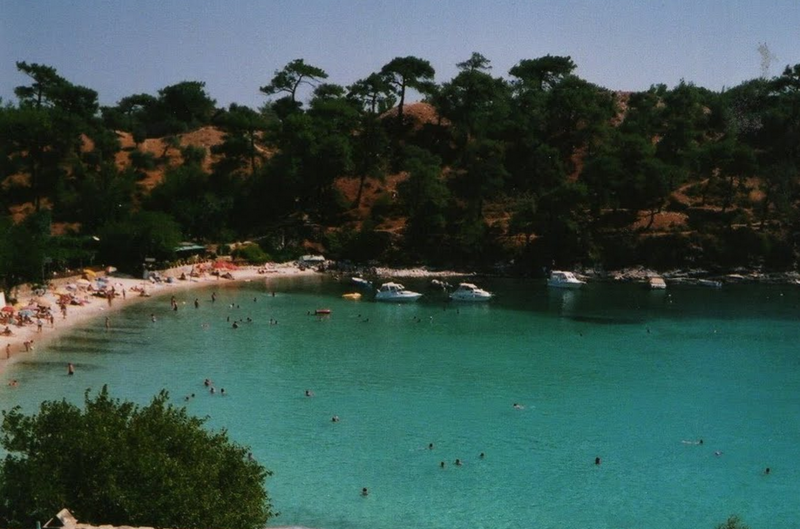 For starters, the beach is marked by a natural basin which is simply breath taking. The basin is formed by a natural cave which has its opening in the open sea. Other appealing features include the attractive white cliffs. These cliffs tower majestically and harbor on them beautiful vegetation which give the place a rich and green look. 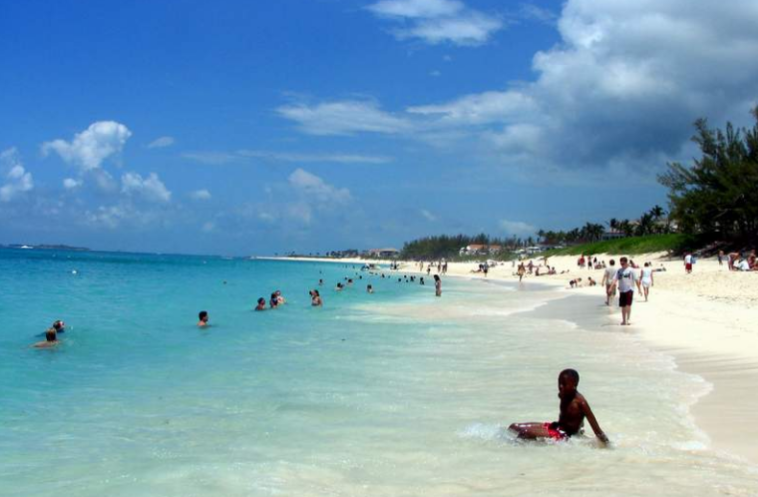 The beach on the other hand has attractive white sand ideal for playing and basking on. The water is also shallow, deepening as you go further into the sea. This offers a great platform for both light swimming and surfing when the waves form. However, some areas of the beach feature big rocks which may pose a danger. The beach is also near a local village with very friendly locals. This also makes it an ideal place to socialize both with visitors and the locals. 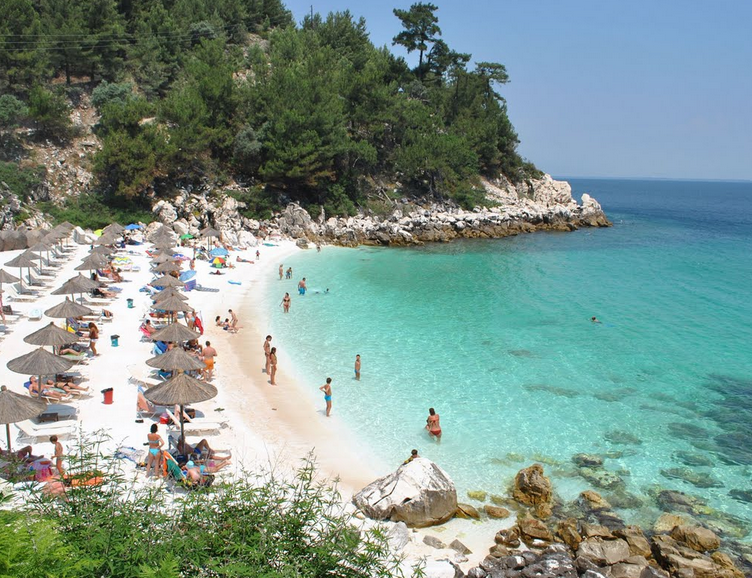 This is one of the top 10 most beautiful beaches on Thassos which are organized. To this end, it comes with added conveniences like beach bars where people can easily get drinks and snacks at affordable prices. There are also several taverns on the beach which sell alcoholic drinks to adults. It also features several tamarisk trees which go a long way in offering shade for people who desire some cool air from the sun. The sand on the beach is also fine and white; making it ideal, especially for the kids for playing in. The water too is clean, shallow and free of sharp rocks and harmful creatures. 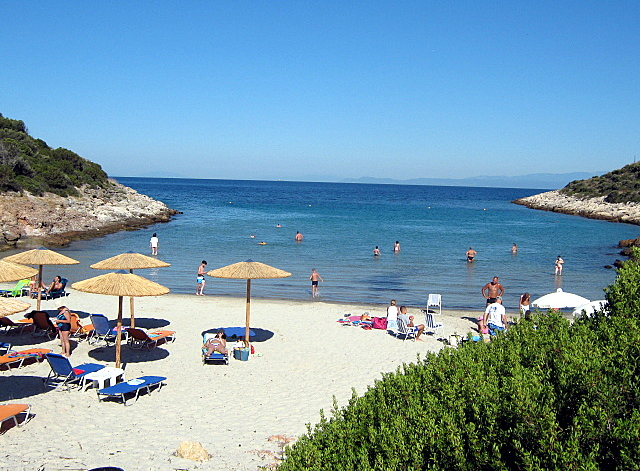 The features in Atspas beach makes it ideal for families with young kids. It has a reputation for crystal clear and clean water. To this end, you can easily see harmless sea creatures like young octopuses through the water clutching the rocks. On the surface, the sand is fine to the touch and hence comfortable and safe for playing and basking on. There is also a volley ball net on the beach for people looking to have fun playing water sports. Sunbeds are also available for people looking to fully harness the comfort in the sun and the beach’s serene environment. The beauty and suitability of this beach depends on where you look. While its right side may not be so appealing, the left part has a host of features which make the beach great. 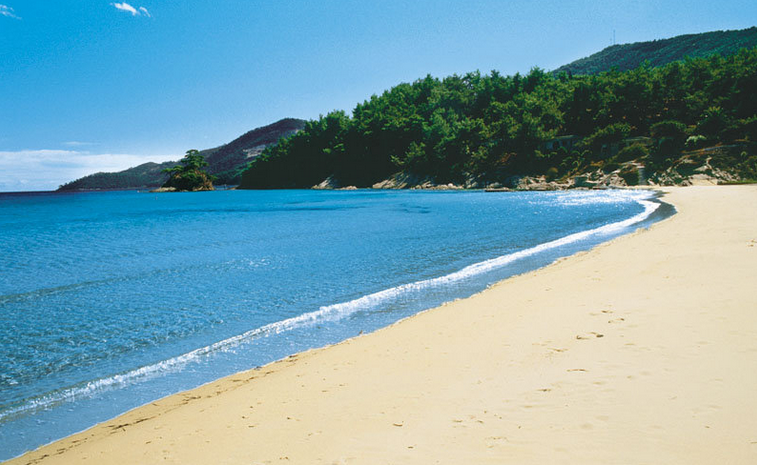 For starters, the sand on this part of the beach is softer and more comfortable even as compared to other beaches. Furthermore, there are huge rocks where you can sun bath or simply settle on observing the beauty in the nature and other beach revelers. For people who like to move to the rhythm, this beach also tends to attract quite a lot of beach parties and especially during August. The water is however cooler as compared to other beaches owing to its position on the island. 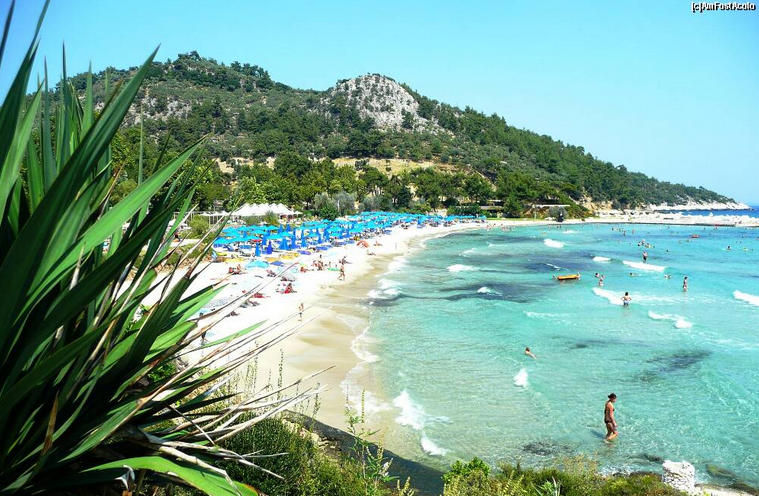 Among the top 10 most beautiful beaches on Thassos, this is the only one that requires payment for entry. However, children accompanying adults are exempted from pay. On the bright side however it is well organized and features numerous factors and establishments which go a long way in offering thrilling and fun moments. The beach is basically a landscaped complex. In it there are numerous homes, swimming pools, an amusement park and several sporting facilities among others. This makes it an ideal place to not only enjoy the sea water and the sun’s gentle rays but to also vacation. It also features some hotels and restaurants where people can enjoy great meals and drinks at affordable prices. Accommodation is also available. The order on this beach makes it especially ideal for families with young kids. 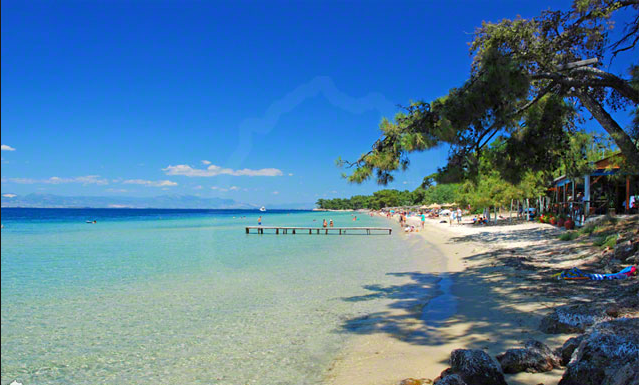 This is one of the best beaches on the island. 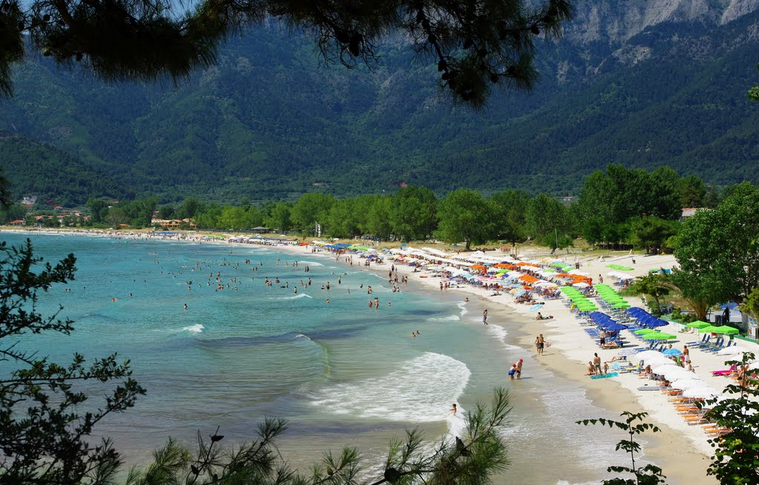 It has everything nature has to offer (for the ideal beach of course) and also features establishments and other factors which make it popular among locals and visitors alike. The beach enjoys nice and big waves which make it ideal for surfing. When the tide is not high, the water is usually gentle and ideal for light swimming. The sand on the other hand is fine and appealing to the eye. There are also several restaurants and bars on the beach. Here, you can get a snack, soft beverages and alcoholic drinks for adults. 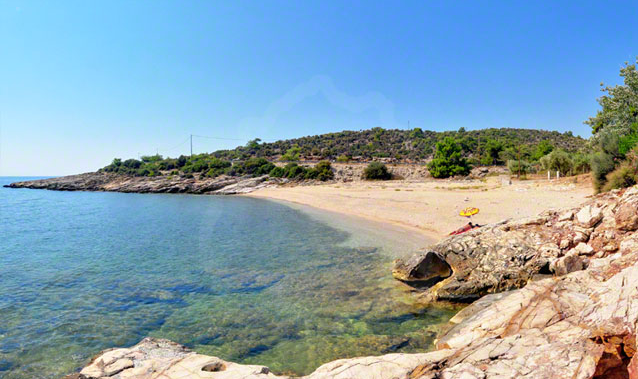 Locally known as Saliara beach, marble beach derives its name from the numerous white marble stones which line its entire coast. These marbles also give the beach an appealing look as their bright color brightens up the place when the sun is up. To this end, it is advised that sun glasses be worn. The water is also clear and clean, and it gives way to a beautiful sea bed beneath. Other features include sun beds for basking in the sun. These also come with an umbrella and are very affordable and even free at times for people who purchase drinks and other amenities. 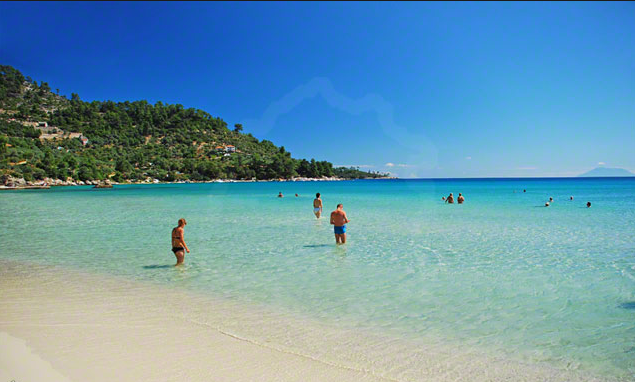 This is arguably the best beach among the top 10 most beautiful beaches on Thassos. The natural elements of this beach are diverse and captivating. 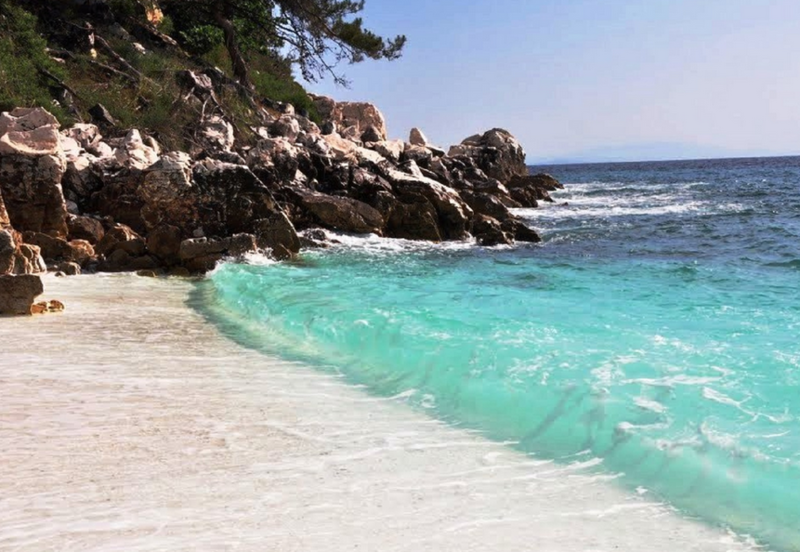 For starters, the sand is incredibly fine and almost completely white, making it not only enjoyable to the touch but also appealing to the eye. The water is also clean and clear, and is very shallow facilitating light swimming especially for kids. There is also a forest which just comes down to the coast and which adds a natural and exotic look to the overall beach’s setting. Windsurfing is also great here as the waves tend to form quickly and evenly, giving surfers a ride of a lifetime. There is also a restaurant and coffee shop on the beach where you can buy snacks and beverages. 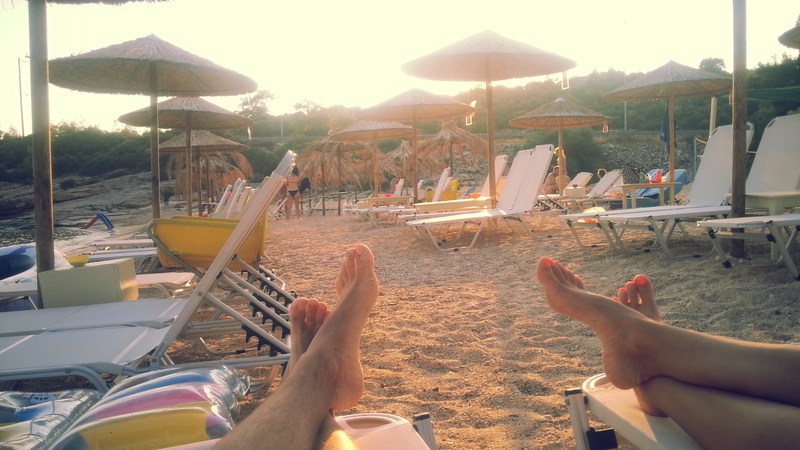 For people looking for a bit more freedom, the back part of the beach is reserved for nudists.